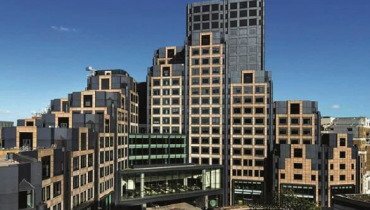 Digital Mailroom delivers efficiencies to London Landmark - Authenticate Group LTD.
200 Aldersgate is one of London’s landmark buildings, providing 434,000 square feet of office space and occupied daily by more than 2,500 people. BNP Paribas Real Estate manages the building to provide an optimal working environment for the tenants and with so many people on site, the post room is a key element. Although the use of paper-based communication is declining, it is still an important part of business operations and tracked mail and parcel post play a growing part. BNP Paribas Real Estate was looking for opportunities to make cost savings, whilst improving efficiencies and completely removing paper from their processes. Digital Mailroom was the solution that MyTAG provided, for a fraction of cost and 24/7 connectivity. It’s the flexibility of MyTAG coupled with its easy set up process and low cost that enables all building sizes to benefit from efficiency of a digital mailroom system. Sorting mail, parcels and packages can become a daunting task, adding to that the cost of consumables such as paper, ink and also personnel you can see the benefits in having a digital mailroom system than can provide efficiency and cost saving. Aldersgate property management team saw these benefits in other services MyTAG was already offering, such as service verification, proof of presence, key management and more. To get the facts and details of this project, we have prepared a quick case study that you can download below.